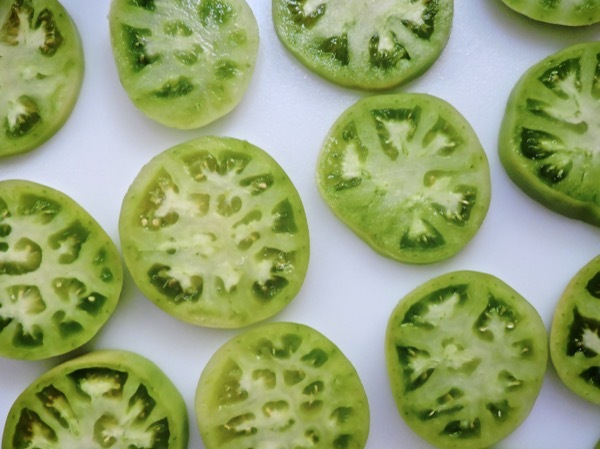 I am crazy for fried green tomatoes. Meadowlark in Dayton, Ohio fries up some of the best. Lucky for me the restaurant is practically in my backyard. 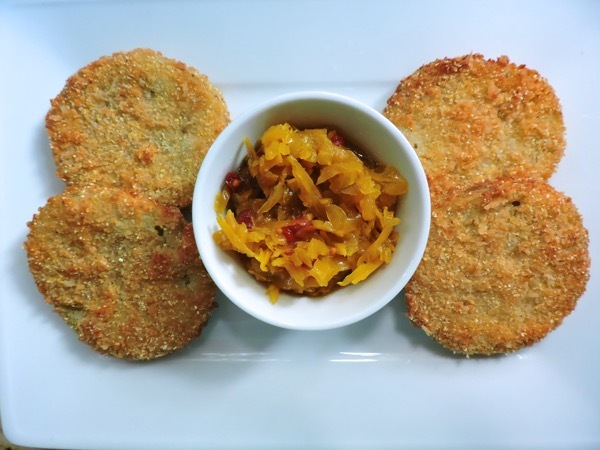 I can pick up an order to go then devour them at home, piping hot with a big spoonful of their tangy chow chow relish. But with each bite I secretly wish I could master making my own. Lucky for me the Centerville Farmer’s Market is just down the way. Each Thursday afternoon I come home with an impossible array of vegetables, most notably Spring Valley Farm’s green tomatoes. Tim Downing sells the best. 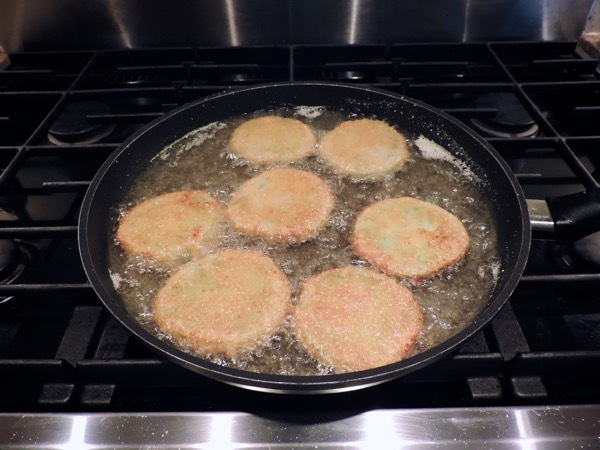 I can’t tell you how many times I have tried to fry up my own green tomatoes. Until recently the results have been less than whelming. Then the other day as I was munching on a take-out plate from Meadowlark I decided I would play food detective on my computer and once and for all I would try to crack how Wiley, the restaurant’s owner, had perfected the perfectly light but substantial crust on the firm yet somehow creamy tomatoes. Hers have an interior tang that is the perfect counterpoint to the zippy chow chow. Finally I hit pay dirt. 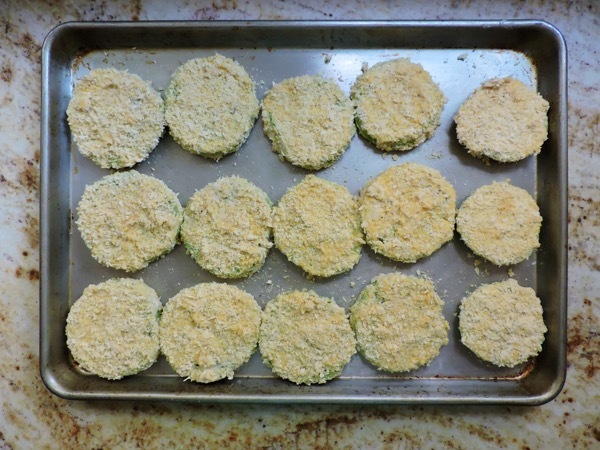 Here is my rendition of fried green tomatoes. 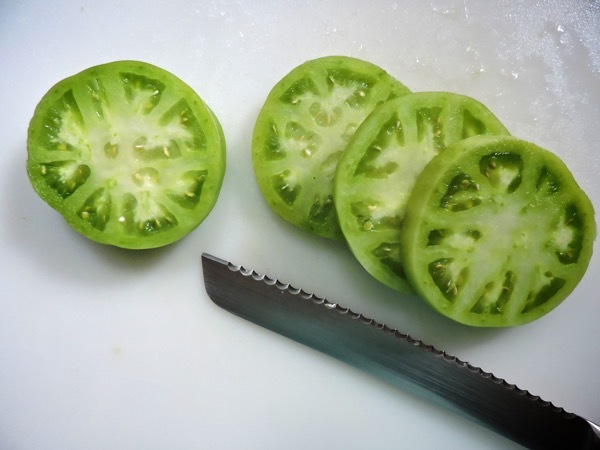 Slice the tomatoes into quarter inch slices. 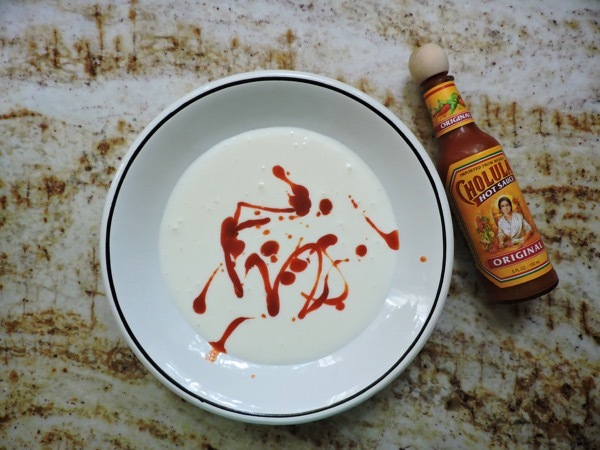 Whisk together the buttermilk and hot sauce in another shallow bowl. 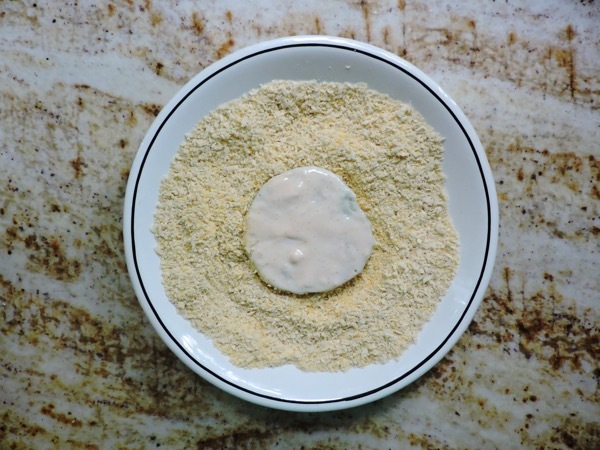 Whisk together the cornmeal and panko bread crumbs in a separate bowl. 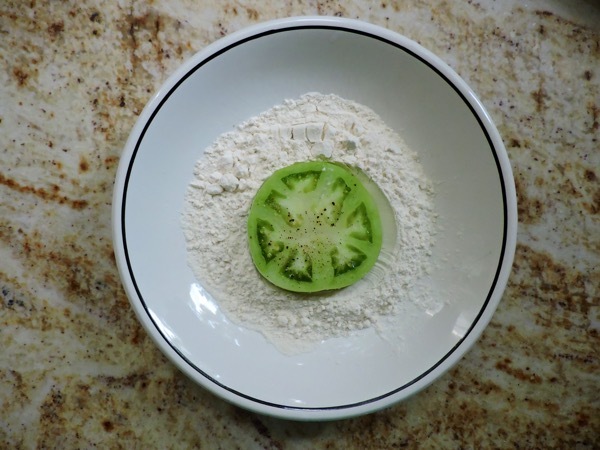 Working with one green-tomato slice at a time, coat the tomato first in flour (knocking off excess). 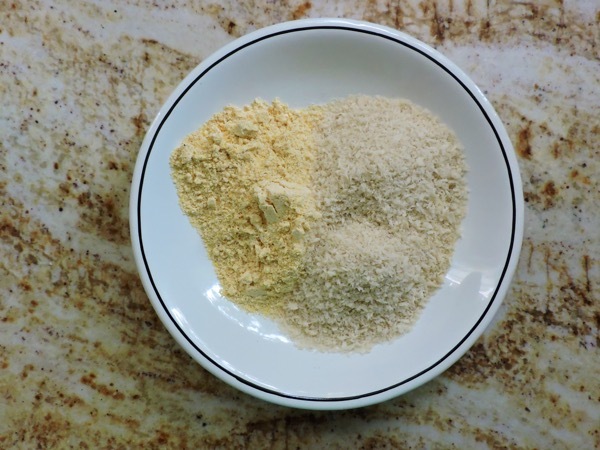 Then finally in the cornmeal-bread crumb mixture. 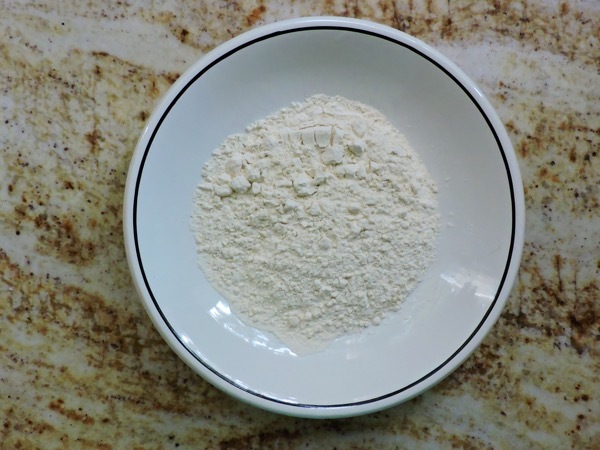 Transfer the breaded slice to a rimmed baking sheet, and repeat with the remaining slices. Preheat the oven to 200°F. 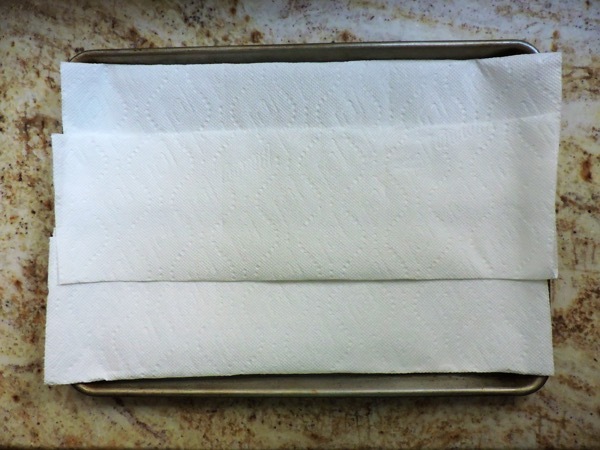 Line a second rimmed baking sheet with paper towels. Heat 3/4 inch of vegetable oil in a medium skillet to 350°F. Working in batches, fry the tomato slices until golden brown, about 2 minutes per side. Using a slotted spoon, transfer the cooked tomatoes to the prepared baking sheet, and sprinkle with salt and pepper. 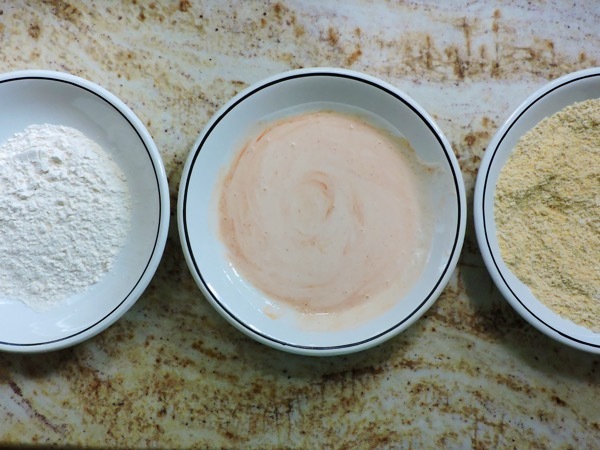 Keep the cooked tomatoes in the warm oven while you fry the remaining slices. 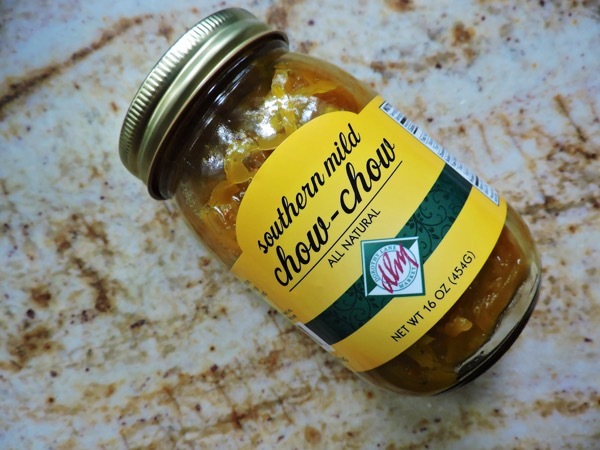 Serve the tomatoes warm, with chow chow relish. Dorothy Lane Market sells a great chow chow. You can also find many varieties at farmer's markets. 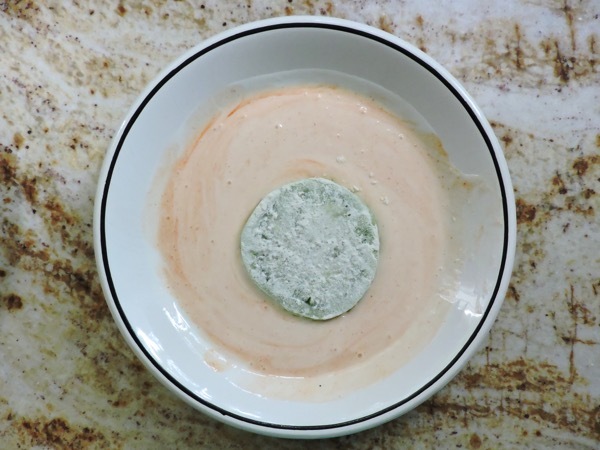 If by chance you happen to have any left over try this appetizer. 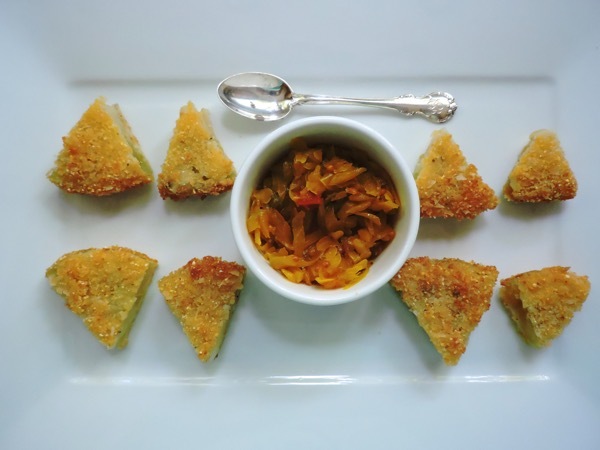 Cut fried green tomato slices into six triangles, re-warm in a 350 degree oven and serve on a platter with a little chow chow as a garnish. Or for a show stopping supper- a fried green tomato BLT. 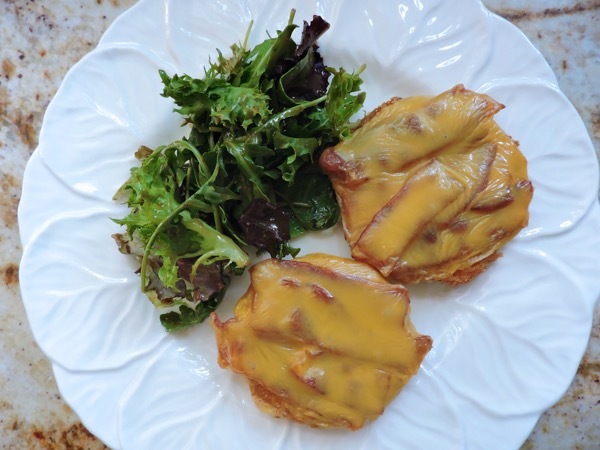 Warm up the fried green tomatoes, top with crisp slices of bacon, a slice of cheese, broil until melted, and serve with mixed greens. No need for you to be jealous. 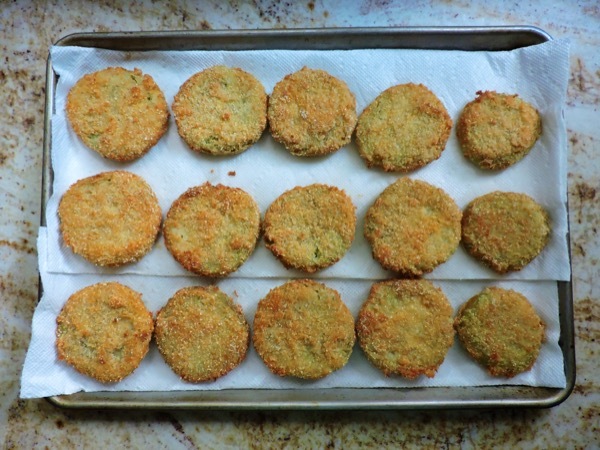 Next time you're at a farmer's market pick up bag of green tomatoes and get frying! 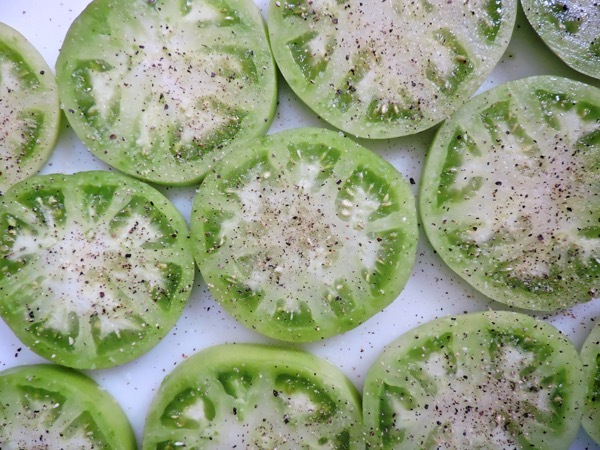 So EXCITED to find this recipe for fried green toms on your website-- esp as I am amongst the privileged who have sampled them from the master---thank you for sharing with us all, Sandy! I have 6 beautiful green tomatoes sitting on the counter looking at me! Sandy, your photographs are fabulous. Beautifully photographing the steps to your recipes makes me want to try every single one (and I have tried many). Thank you!